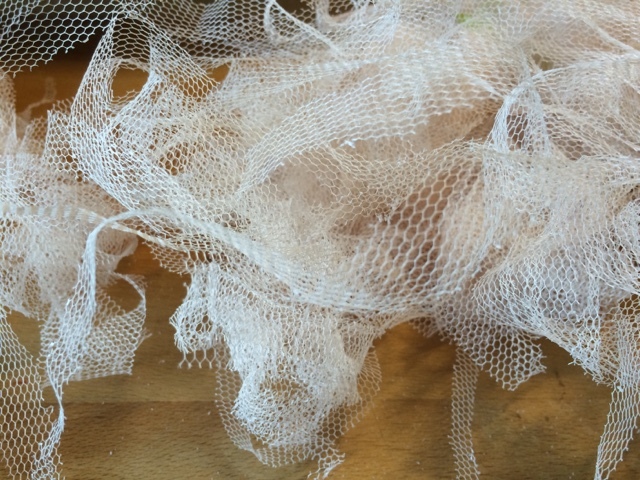 I have just spent ages cutting nylon tulle into 1/2 inch strips. I tried tearing them, but the edges roll and become too smooth for my purpose. 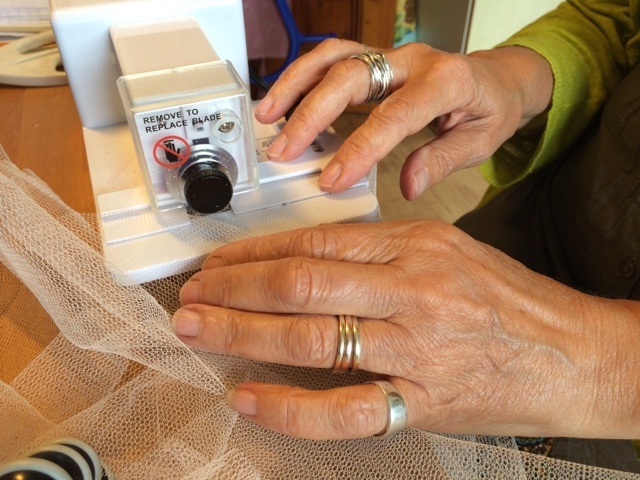 Luckily I could use a powered rotary cutter, but even so the tulle fought back and slithered around. The strips are to be woven into machine knit fabric to create a scratchy surface. Yes normally one is striving for a soft surface, but this garment is going to emulate for the wearer the feeling of having a skin disorder. Sampling so far has found that nylon tulle on a Lycra base knit can be quite irritating. When the nylon is slightly melted it becomes even more irritating. So that’s the plan.